Let's get right to the point. Allan Marain and Norman Epting, Jr. are New Jersey lawyers who defend persons arrested for violating laws relating to cocaine and other drugs. They refer to themselves on this site as Cocaine Lawyers in New Jersey™. Their combined experience exceeds sixty-five years. Their primary objective is to avoid a conviction. They have successfully done that numerous times. When a conviction cannot be avoided, their objective is to save their clients' driving privileges, and to keep their clients from being sentenced to jail or prison. Cocaine Lawyers in New Jersey™ have obtained acquittals for persons found with small amounts of cocaine, as well as persons found with large quantities. They have successfully represented persons arrested for cocaine in their homes, in college dormatories, in cars, on the street, and even inside New Jersey prisons. Their cases have included people arrested following issuance of a search warrant, as well as searches with no warrant. They fight for clients with cocaine cases in federal court, the Superior Court of New Jersey, juvenile court, and on appeal. Persons found guilty in New Jersey of cocaine possession, cocaine distribution, cocaine possession with intent to distribute, manufacturing cocaine, or possession of drug parpahernalia are subject to loss of their driver's license, fines, and incarceration. Cocaine Lawyers in New Jersey™ discuss these factors on different pages on this site. Cocaine cases typically involve numerous legal issues. 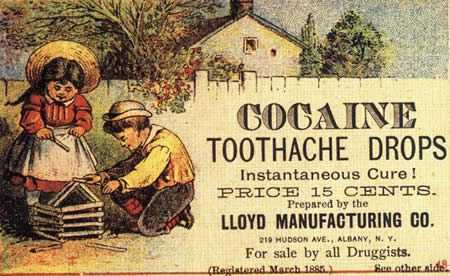 These issues include whether the client is eligible for and wants Pretrial Intervention (PTI); whether the police found the cocaine only on account of an illegal search; whether the prosecutor established a "chain of custody" for the suspected cocaine; the validity of the laboratory identification of the suspected cocaine; whether the accused actually possessed the suspected cocaine; and whether the accused was unlawfully entrapped. Cocaine Lawyers in New Jersey™ review and raise issues such as these for their clients. They represent their cocaine clients with understanding, skill, and compassion. They talk to clients in English, not "legalese." They return clients' phone calls. Centrally based in New Brunswick, Cocaine Lawyers in New Jersey™ accept cocaine cases in Bergen, Burlington, Essex, Hudson, Hunterdon, Mercer, Middlesex, Monmouth, Ocean, Passaic, Somerset, Sussex, Union, and Warren Counties. They represent persons seeking expungement of cocaine arrests or convictions statewide. They invite you to review important information on this site concerning cocaine charges in New Jersey, and drug charges, generally. Cocaine Lawyers in New Jersey™ would welcome the opportunity to review your situation. Your review can begin with the “Case Review” links on each page. Deeper review is available in a no-charge no-obligation telephone or office conference. See contact information at the top and bottom of this page and, also, on their more comprehensive “Contact a Lawyer” page on this site. Page last updated 14 March 2019, and displayed Tuesday 23 April 2019, at 22:02:52 EDT.